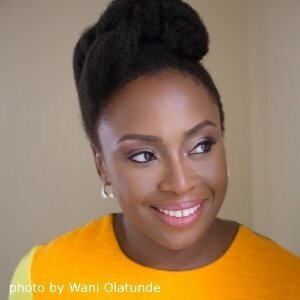 Nigerian author Chimamanda Ngozi Adichie, a world-renowned novelist, cultural critic and feminist, has won the 2019 Ev Rogers Award. Ms. Adichie’s first novel, Purple Hibiscus (2003), won the Commonwealth Writers’ Prize. Her 2013 novel Americanah won the National Book Critics Circle Award and was named one of The New York Times’ Top Ten Best Books of 2013. Her work has been translated into over 30 languages. “Her voice and her power to inspire made Chimamanda Adichie the unanimous choice for the 2019 Rogers Award,” said USC Annenberg School Dean Willow Bay. “Her visit will continue the global conversation about race, gender and identity to which she’s contributed so forcefully. Ms. Adichie’s “The Danger of a Single Story” is one of the most-watched TED talks of all time. A MacArthur “genius” Fellow and a member of both the American Academy of Arts and Letters and the American Academy of Arts and Sciences, she was named one of TIME magazine’s 100 Most Influential People in the World in 2015. In 2017, Fortune magazine named her one of the World’s 50 Greatest Leaders. Presented since 2007 on behalf of the University of Southern California’s Annenberg School for Communication and Journalism by the school’s Norman Lear Center, the award honors the late USC Annenberg professor Everett M. Rogers, whose Diffusion of Innovation is the second-most cited book in the social sciences. Ms. Adichie will receive the award and speak at USC Annenberg on Feb. 7, 2019.